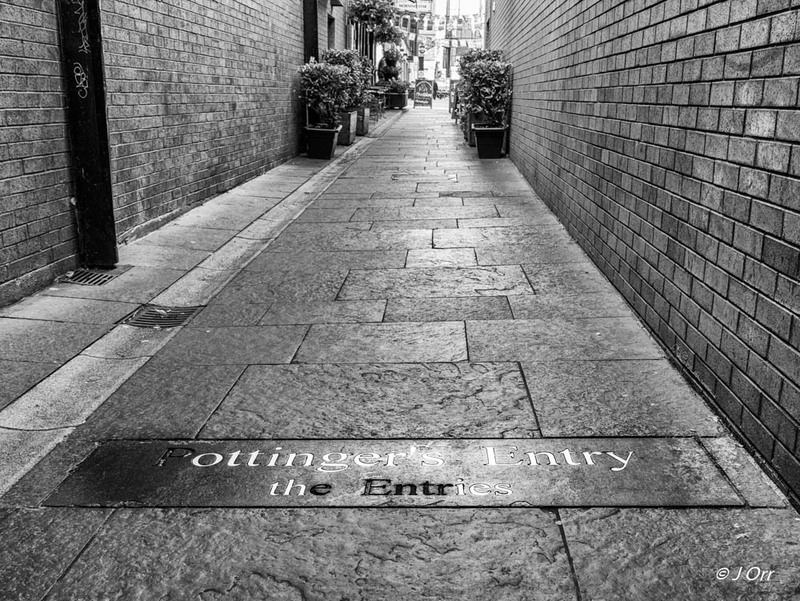 An entry is what people from Belfast call an alley. 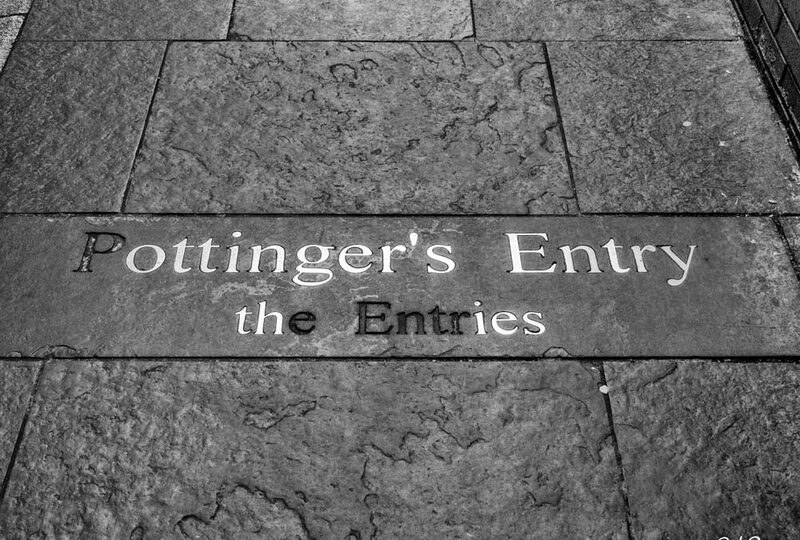 “The Belfast Entries” or simply “The Entries” are the alleys that mostly run from Ann Street through to High Street, Belfast. 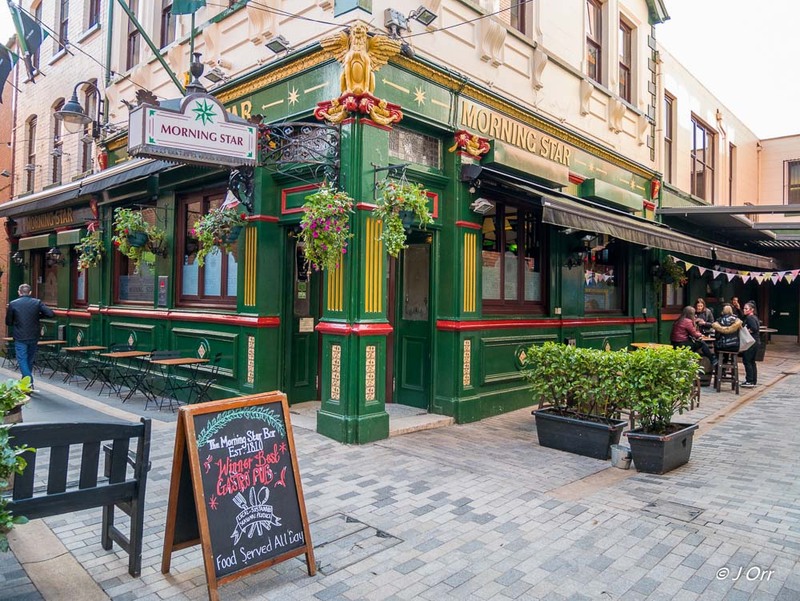 They have been described as, “The close knit passageways where Belfast was born and bred.” They date from a time when the geography of the city was very different from now. It is believed that The Entries led to bridges that crossed the Farset River, now flowing through a culvert underneath High Street. 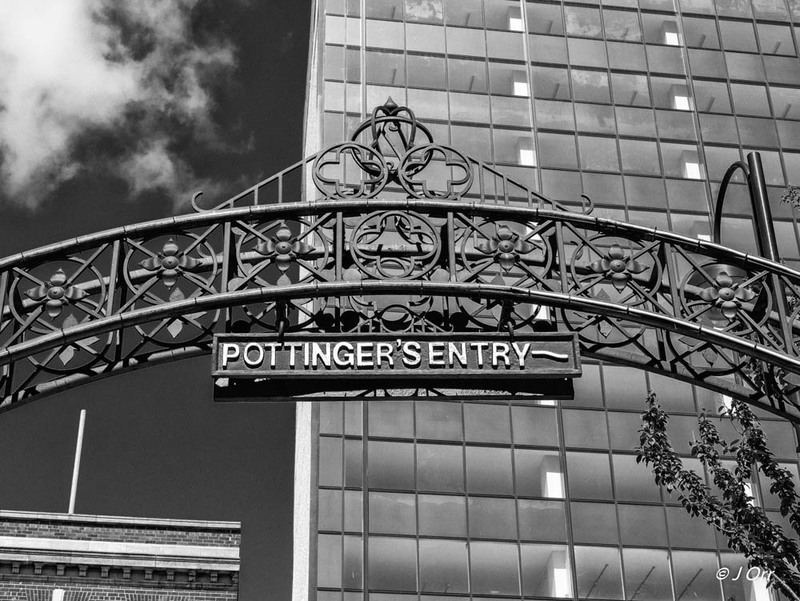 Pottinger’s Entry is the most accessible of The Entries and hosts the popular Morning Star bar, dating from Victorian times. 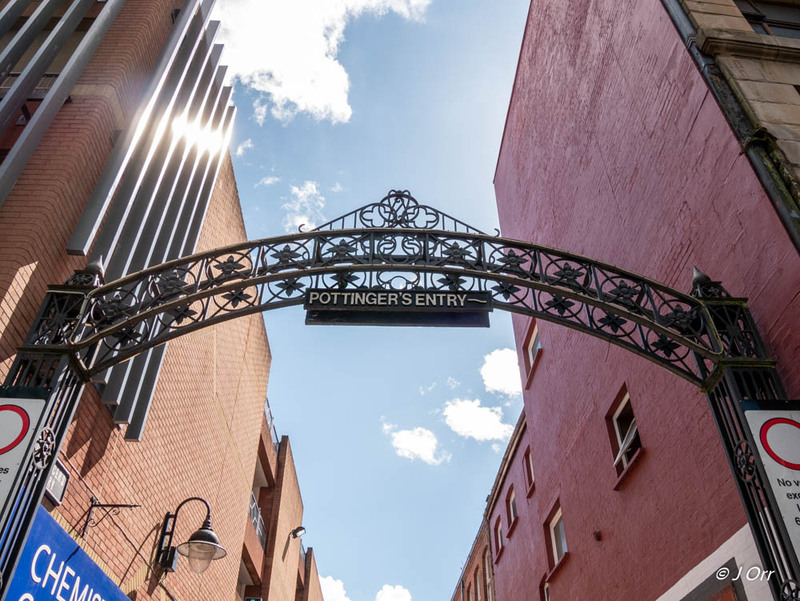 With a brick arched passageway at the Ann Street end, where you will often find a busker and an ornate metal arch at the High Street end, it is probably the most photogenic. I’ll try and cover some of the others in the future.